"Does the idea of a 112-page alphabet book sound crazy or delightful? Either way, you'll want to check this one out! 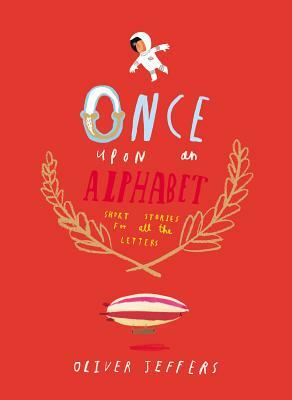 This inspired book of alphabetical short stories is chock full of Jeffers' trademark charm and nutty, whimsical spirit." Oliver Jeffers (www.oliverjeffersworld.com) creates art for children and adults alike. His picture books, including Stuck, Lost and Found, How to Catch a Star, The Incredible Book Eating Boy, This Moose Belongs to Me, and The Day the Crayons Quit (a #1 bestseller) written by Drew Daywalt), have garnered multiple starred reviews and spots on the New York Times bestseller list. The Hueys in: The New Sweater was named a New York Times Best Illustrated Book of the Year in 2012. Oliver also hand-lettered the lyric video for U2's single, "Ordinary Love. "Originally from Belfast, Northern Ireland, Oliver now lives and creates art in Brooklyn, New York.